If youre a Michigan beer lover, youve probably already experienced Beerfest at the Ballpark in downtown Lansing. If not, you are in for a real fun treat because it&apos;s one of the best events in Lansing! I attended and volunteered at the spring Beerfest and had a blast. Beer people are so nice and happy. Go figure. Anyway, its easy to get to as it is centrally located downtown at Cooley Law School Stadium. The spring festival was up on the concourse and out front of the ballpark to preserve the outfield turf. This fall, I understand the event is right down on the field, which should be a super cool experience. As an attendee, you will find over 50 Michigan breweries with more than 200 craft beers for your tasting pleasure. And for those, like me, who love the festival vibe but not necessarily the beer? (Hey. Dont judge me.) There will be meads, spirits, and ciders available to taste as well. Its a beautiful thing. Add to that, some German and Belgian breweries will be well represented at this fall festival. Rounding it all out will be entertainment by some of my favorite bands and food for purchase at the Lansing Lugnuts concession stands. 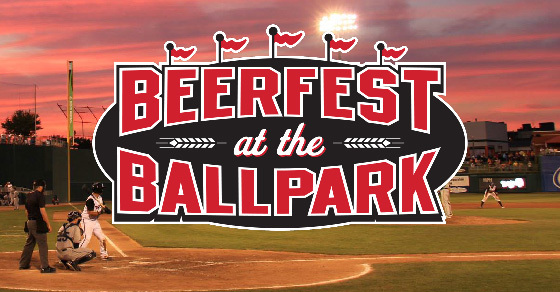 Great food, local music, and a huge selection of crafted beverages make Beerfest at the Ballpark one of the best brewery events in Lansing! Worried about drinking and driving? Good for you. Theyve got you covered with tons of taxis lined up outside as well as shuttle buses. Take my advice and purchase your tickets ahead of time, not only for the $5 discount but also because this event has been known to sell out. KK and I will be manning the taps at the Sleepwalker Spirits & Ale booth so stop by and say hi. See you on Saturday! When: Saturday, September 19, 2015 from 510 p.m. Rain or Shine!